In partnership with 18MillionRising, supporters of Adam Crapser are asking that we help draw attention to Adam’s story and urge ICE to stop his deportation proceedings. 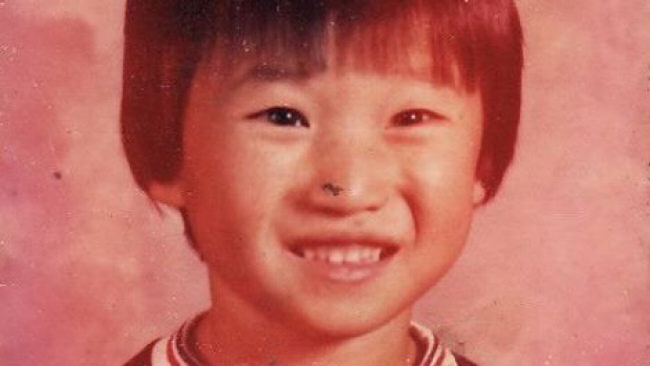 In addition to posting tweets to the hashtag #KeepAdamHome, supporters are urged to support an amendment that would expand the Child Citizenship Act of 2000 to include adult adoptees, and to sign this petition asking for the deportation proceedings against Adam be dropped. Even more, legislative efforts are underway to grant retroactive citizenship to all international adoptees whose naturalizations were not originally covered by the Child Citizenship Act (CCA) of 2000. An amendment to the CCA would allow Adam to stay home with his family and finally receive the citizenship that was promised to him – but this can only happen if he isn’t deported. Adam’s children need him. His wife needs him. This country is his home, and he should not be deported because his abusive adoptive parents failed to complete his naturalization paperwork. Demand that Raphael Sanchez #KeepAdamHome by enacting administrative closure on Adam Crapser’s deportation case. Act Now! 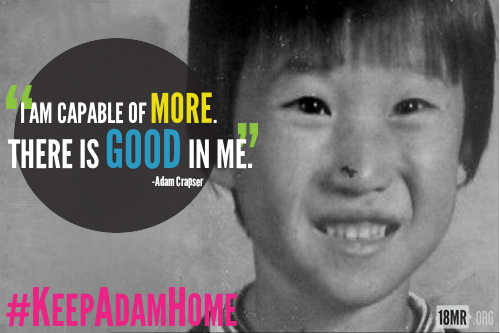 Please share this post and 18MR’s #KeepAdamHome petition to stop the deportation of Adam Crapser and countless other adult transnational adoptees!